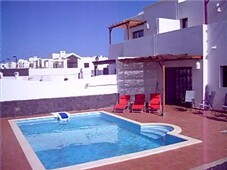 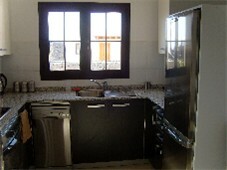 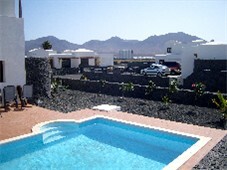 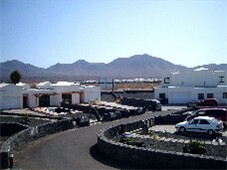 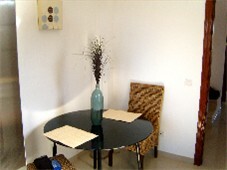 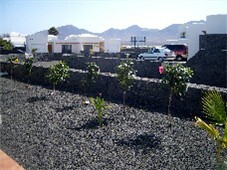 Casa Hibiscus is a brand new (2008) modern villa located centrally in Playa Blanca, less than 15 minutes walk to the centre. 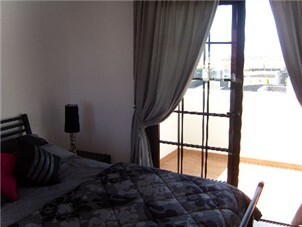 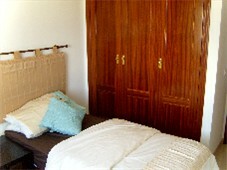 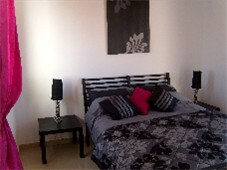 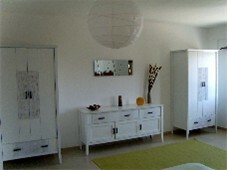 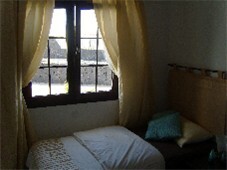 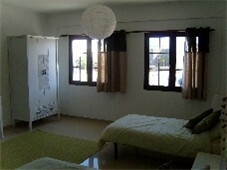 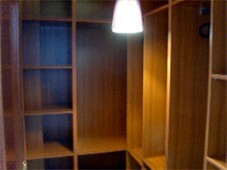 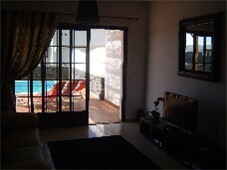 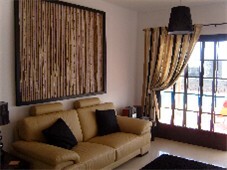 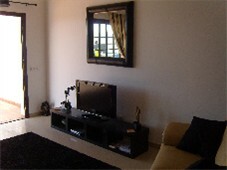 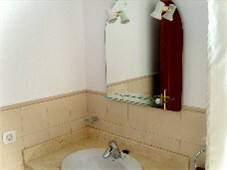 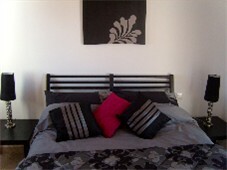 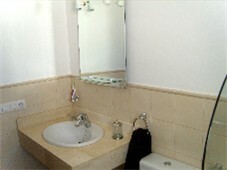 As the pictures clearly show, this villa has been fitted with high quality furnishings throughout. 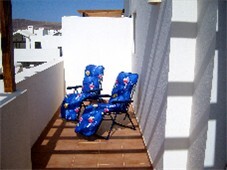 Casa Hibiscus comprises 3 Bedrooms, 1 Double en-suite and 2 Twin bedrooms and can comfortably sleep six people, although a cot or Z-bed (positioned in the spacious first twin bedroom) could easily be added if there are seven of you. 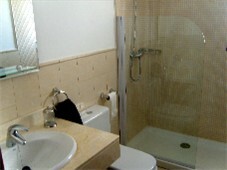 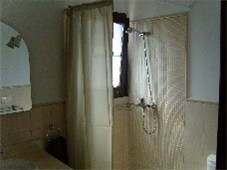 There is a Lower (shared) bathroom and an upper en-suite shower room. 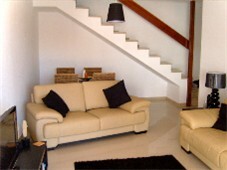 Casa Hibiscus is completed by a modern lounge with internal dining area, a fully fitted kitchen, solar heated Private Pool, and Terraced Area & like all of our villas, it is furnished to the very highest standard, has Satellite TV and welcomes young children & babies. 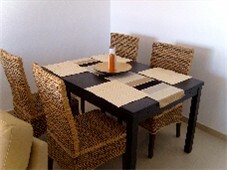 A fuller specification is available via our unique "Click 4 Brochure". 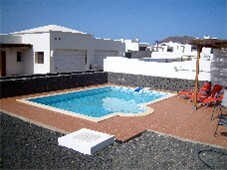 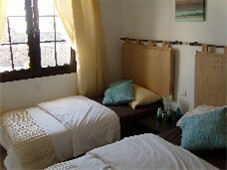 From �525 per week (four sharing low season), to hire this villa, call John or email us.